The next nice Australian track is the main facility for Western Australia. WA Atheletics Stadium opened a couple of years ago in 2009. The bleachers here hold 2,000 people, but the track is down in a bowl, so the hillside can accommodate more spectators – up to 8,000 more to be specific. Like yesterday’s track, this one also has nine full lanes, with three additional lanes added to both straights. Field events are located both inside the track and out, but outside locations are still close to the track and within the bottom of the surrounding bowl. This looks like another outstanding track & field facility. And on top of it all, It’s getting even nicer! 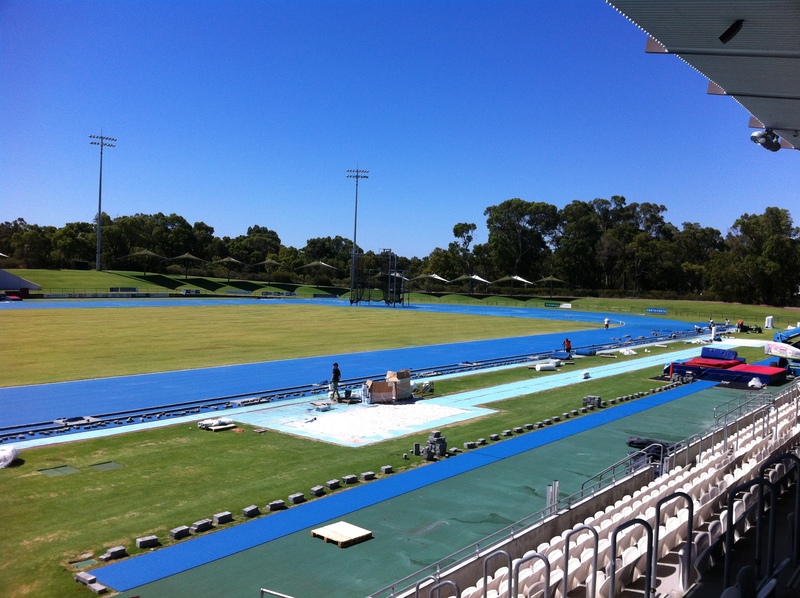 A new blue track surface was just installed, and work was completed within the last week or so! 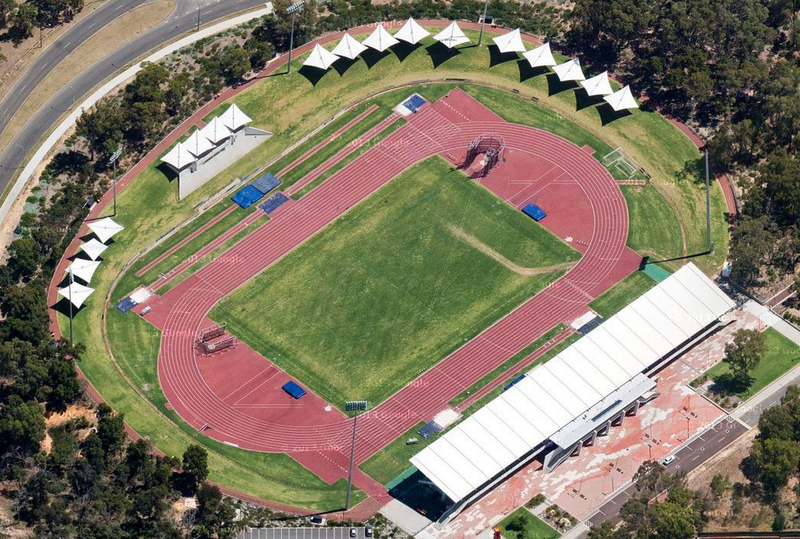 *Photo from Athletics Western Australia.